and will remind any of time spent on the Coast of Maine. There is nothing more annoying than going to dry your hands after you’ve finally finished the sink full of dishes and finding that your hands are still wet because the fuzzy, fluffy towel didn’t absorb anything. You won’t find that with these flour sack towels! They are super absorbent and printed with maps of the Coast of Maine in a bold, nautical blue ink. 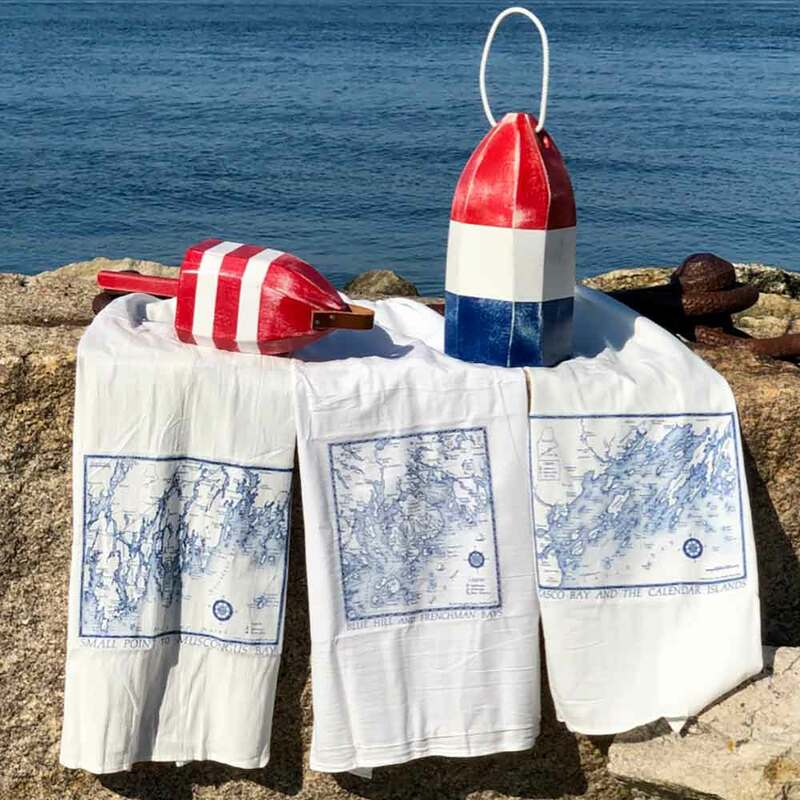 Learn about the different areas of Maine while in use! Use them in the kitchen for drying dishes (super absorbent) or in the bathroom for drying your hands. 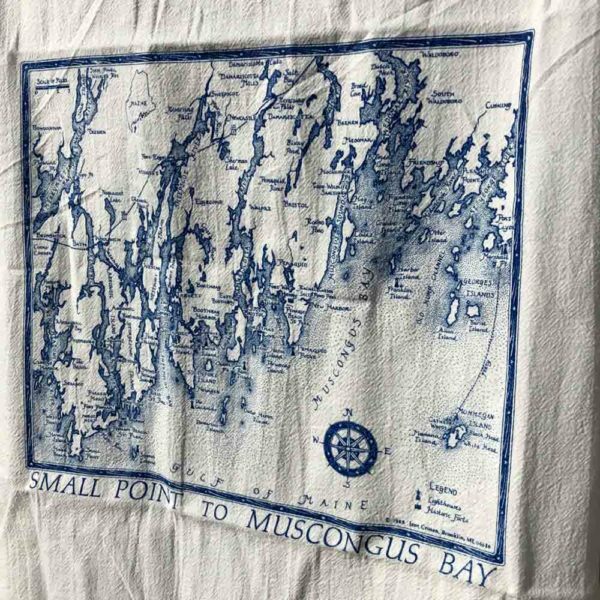 These make a great hostess gift when traveling as they are light and non-breakable and will remind anyone who uses them of the simplistic lifestyle of Maine.